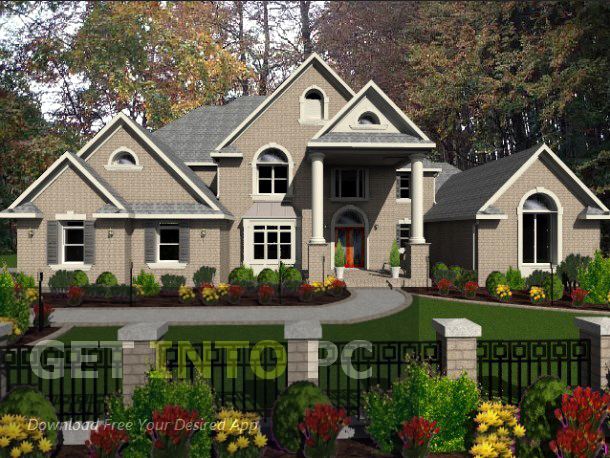 3D Home Landscape Pro 2015 Free Download Latest Version for Windows. it is full offline installer standalone setup of 3D Home Landscape Pro 2015 for PC. It is everybody’s dream to have his/her own home which is designed by themselves. Whether its a kitchen, bedroom, dining room or bathroom you want every single brick to be placed according to your design. 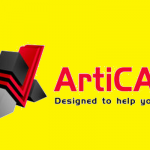 Gone are the days when you needed those engineering drawings on paper for making the designs now there are lots of software products which will do the same task but which lot more versatility and efficiency. 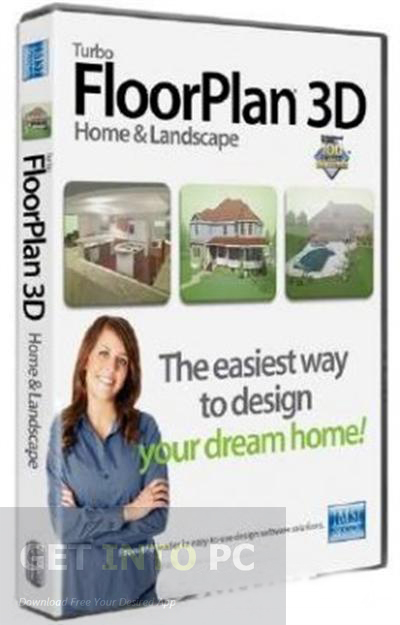 TurboFLOORPLAN 3D Home Landscape Pro 2015 is one such application which will allow you to design the home of your dreams. 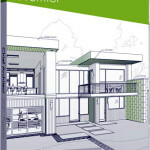 It provides the most easiest way to design the homes. 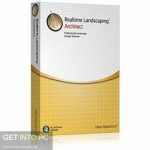 You can also Download Chief Architect Premier which is another great software. 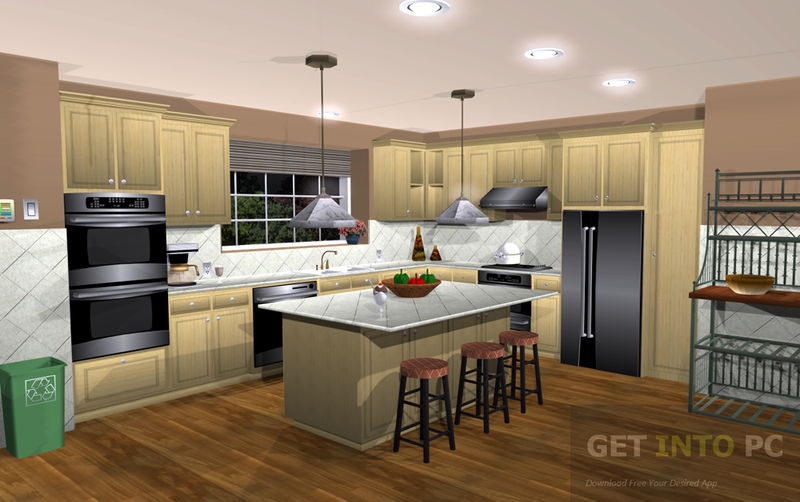 With TurboFLOORPLAN 3D Home Landscape Pro 2015 you can plan to design anything right from the foundations to HVAC, electrical connections, windows, doors, and much more. The program is very easy to use and even a novice who has no designing knowledge and experience can use it very easily. 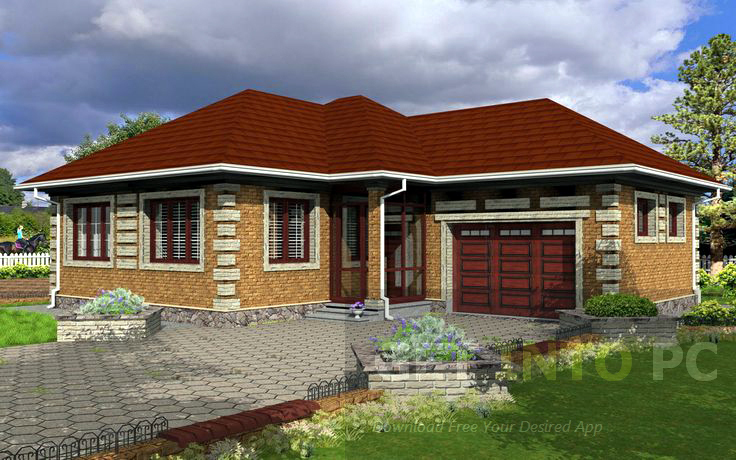 After all the application is addressing a large community as everyone like and wanted to design his/her own home and it is not necessary that the person wishing to design his/her home should be a designing expert. 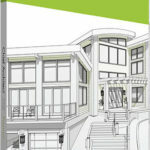 You can Download Sweet Home 3D which is another most used tool in such cases. As we have discussed earlier that this application is for all and anyone can use it right from the word go. In order to keep everything simple the application comes up with lots of templates that will help you to kick start your project. Then there is a training center with more than 100 video tutorials which will surely boost your skills big time. Different symbols that you will need to put into your design can be easily dragged and dropped into the designing area. The design that you will start making will have auto dimensions applied to it by default which means the moment you will add anything into your design the program will show you the dimension of the particular object. Then there is an automatic cost estimator which will keep a check on your costs and will inform you about the estimated cost of a particular thing in your design so that you can make adjustments at any level when needed. Once your design is completed the application will provide you multiple ways and angles you view your designs. 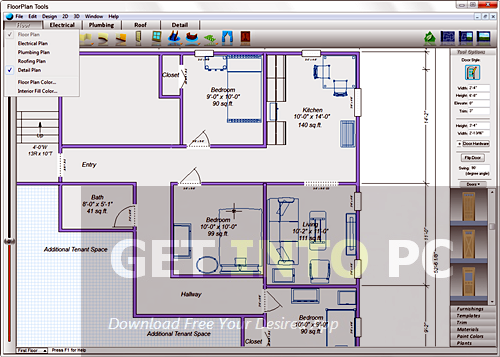 on a conclusive note we can say that TurboFLOORPLAN 3D Home Landscape Pro 2015 is a very productive application which will help you in creating designs for you homes in a very efficient way. Below are some noticeable features which you’ll experience after 3D Home Landscape Pro 2015 free download. Can design the home of your dreams. Loads of video tutorials available. Loads of templates available in order to kick start your project. provides multiple ways to view your design. 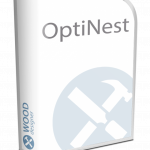 Before you start 3D Home Landscape Pro 2015 free download, make sure your PC meets minimum system requirements. Hard Disk Space: 2.3GB of free space required. Processor: Intel Pentium III 1GHz processor or higher. Click on below button to start 3D Home Landscape Pro 2015 Free Download. 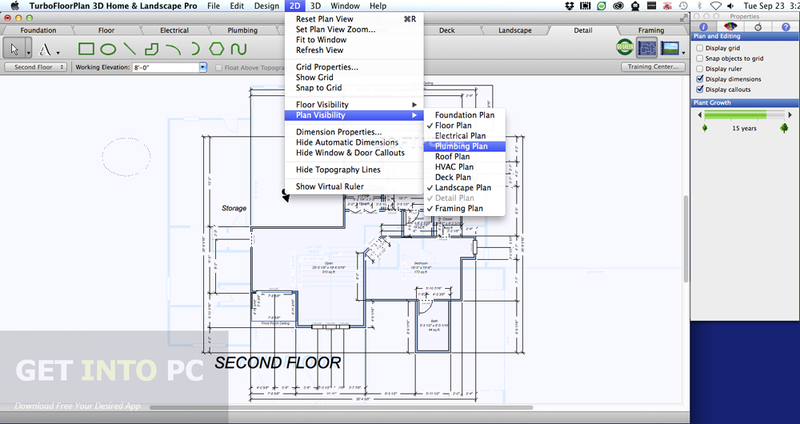 This is complete offline installer and standalone setup for TurboFLOORPLAN 3D Home Landscape Pro 2015. This would be compatible with both 32 bit and 64 bit windows.